1) Only 18 more days until Becky Lynn and Nathan leave for Africa. Thanks to all who have brought us eyeglasses for the elderly and protein bars for the evangelists. This week Becky will be typing up the final itinerary. I'll post it later in case you would like to follow their adventure from day to day. We would of course appreciate your intercession while they're gone. 2) This afternoon the local Episcopal church is having an organ concert. You don't know how rare such haute culture is in our neck of the woods. Should be good. 3) Tonight four of our local congregations are getting together for a singspiration. Here's a first: Nathan will be singing a solo. We wish him well. 6:26 PM What a wonderful day. Our guests have just left. Here are a few highlights. MattRondeau's wife Liz came early and helped Becky Lynn set up for dinner. Liz, you were a God-send. Thank you. One of the first guests to arrive was precious little Abigail, firstborn daughter of Jonathan and Ashley Erdman. What a bundle of joy (she really lives up to the meaning of her Hebrew name.). Becky and Liz set a beautiful table. Our fare was simple but delicious: chili and cheese over potatoes, accompanied by a fresh garden salad and dessert. After lunch several of us took a walking tour of the property. 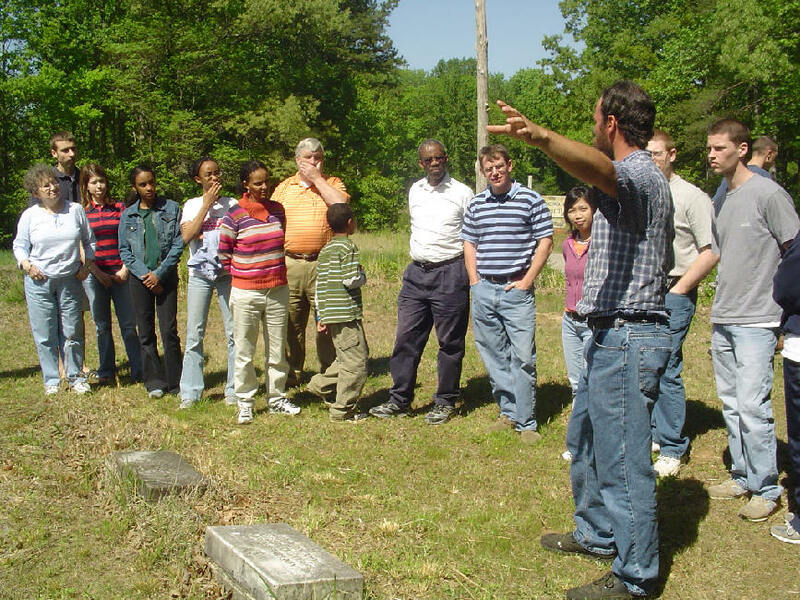 Here Nathan is describing the history of Rosewood Farm, including the life and times of the former owner, Anderson Boyd, who is buried here. Mr. Boyd served as a corporal with the 59th Virginia Infantry Regiment during the War Between the States. 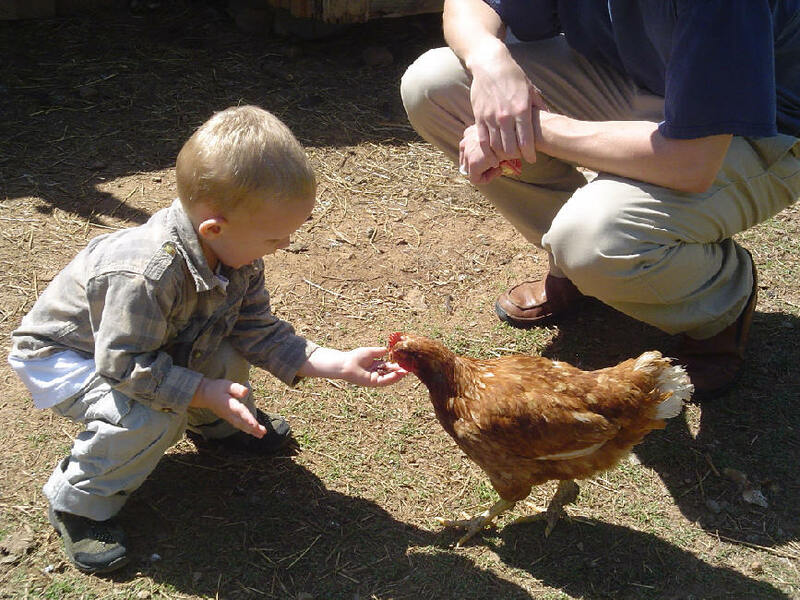 Caleb Rondeau was happy to feed the chickens some sweet feed, including everyone's favorite hen, Brownie. 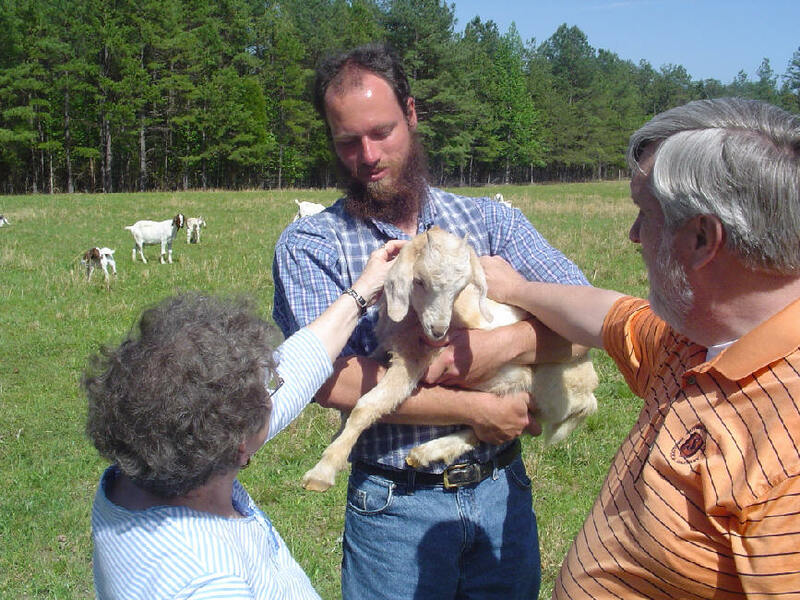 Dennis and Connie Myers enjoy petting one of our baby goats. 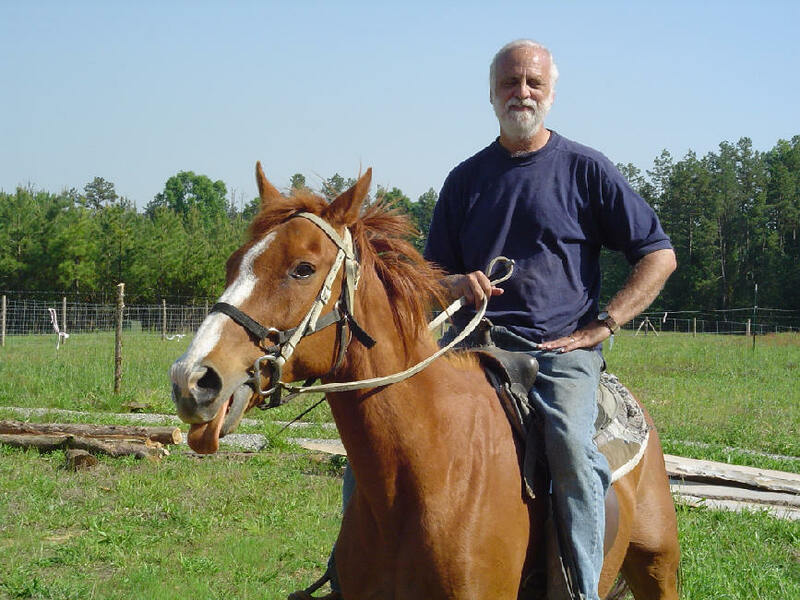 Dennis is the Director of Missions of an association of Baptist churches in and around Petersburg, VA. It was a joy getting to know the Surur Yisak family. 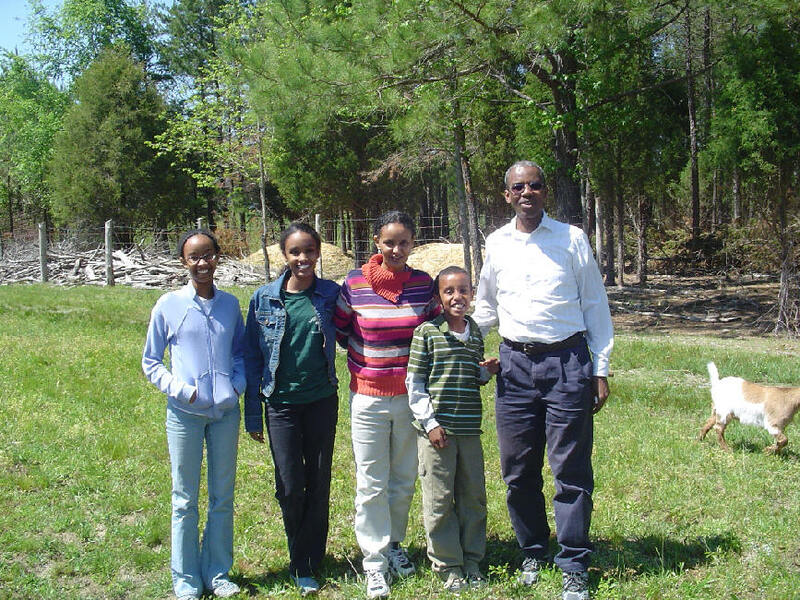 Surur was imprisoned numerous times for his faith during the Communist regime in Ethiopia, and then was a refugee in Kenya. Since coming to America he and his family have lived in California and Kentucky. He is now completing his Th.M. at Southeastern. Surur's wife Sara brought some Ethiopian food for everyone to sample. Here's Becky explaining how you go about eating injera and wot with your fingers. It's customary to serve a small handful of food to someone you love and respect. 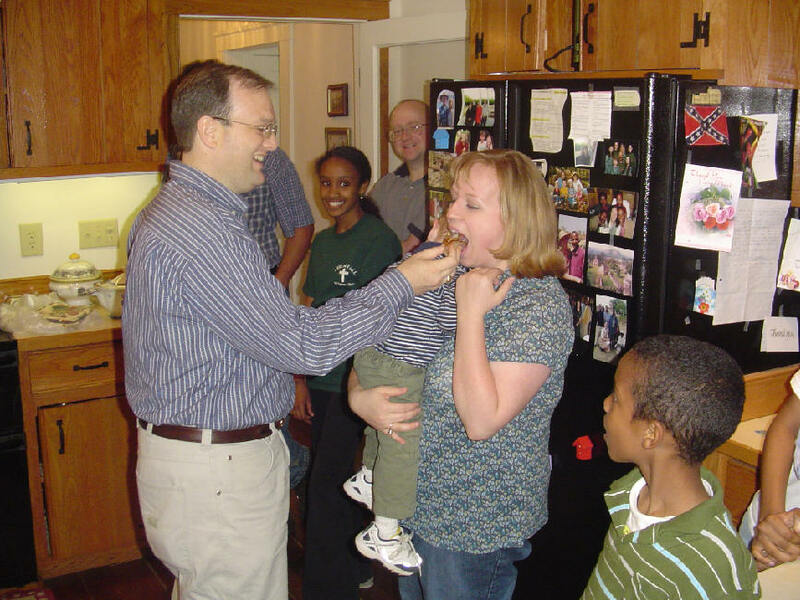 Here Gene Brooks feeds his wife Amanda. Gene, a former missionary to Liberia, is currently shepherding at Amis Chapel Baptist Church, only a few miles away from our farm. We thank the Lord Jesus for giving us a beautiful day in which to meet with our students and their families. It was a pleasure and honor to have them in our home. God bless all of you. Your latest addition to your homepage (Me, a Bible Scholar?) is wonderful. It is especially meaningful to me because this is a matter that hit me squarely between the eyes when I first set foot into seminary. 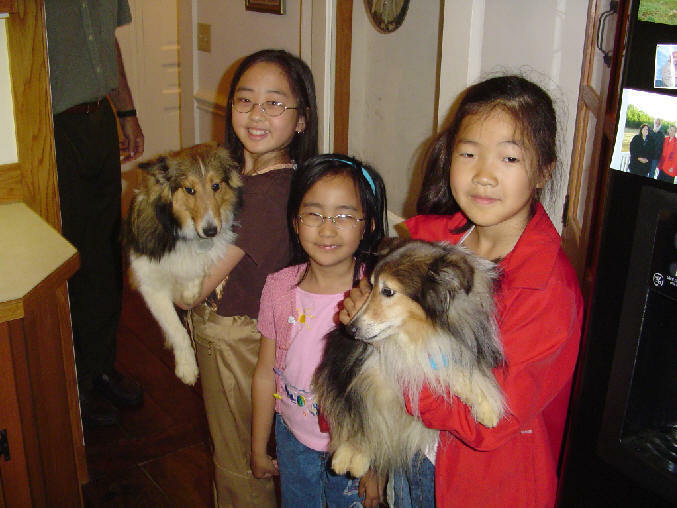 I remember being introduced to subjects for the very first time and being amazed by it. I grew up in church and spent years in a typical Sunday School system. I remember being taught the same shallow lessons over and over again. When I began seminary I remember thinking, "Why did I have to come to seminary to learn these things? This information is not just for church leaders. This information is for the church." I remember how I felt that I'd been cheated of the rich depth of God's Word for all those years. God used the experience to light in me a passion for the education of the church. I praise Him for it and pray that as time goes by fewer and fewer believers will share my experience because the church will finally began to take seriously the role of making disciples. 9:41 AM The latest addition to our home page is called Every Member a Bible Scholar. 6:47 AM This Sunday I will be speaking at my home church and then next Sunday Becky and I will be visiting Clarksville Baptist Church for an Ethiopia presentation. 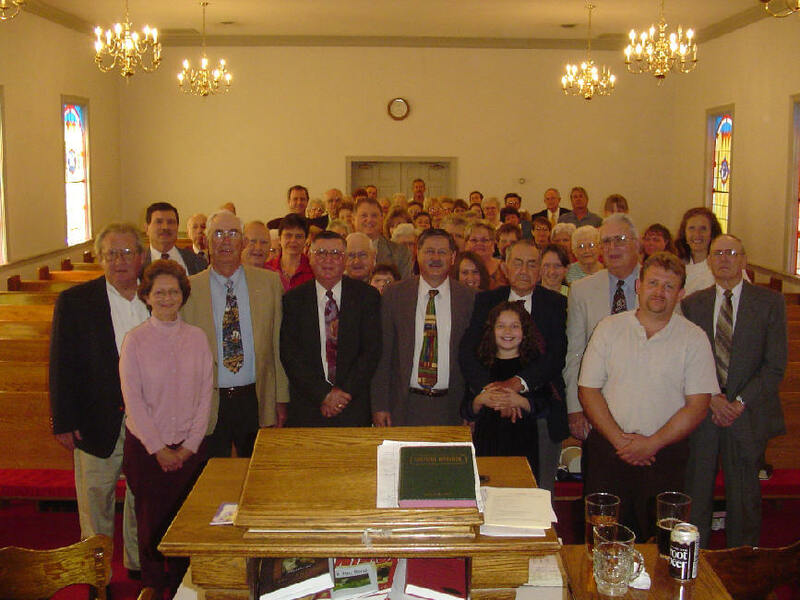 This is one of the oldest congregations in our local Baptist association. Its biography was written by our good friend Warren Turner, who ministers at the local nursing home. If you enjoy Baptist church history, you will enjoy reading it. Go here. 6:45 AM Ethiopia is in the headlines again. And the news, from a human perspective, is not good. As I write these words the nation continues to be wracked by political instability. And Christians continue to be murdered for their faith. But I am encouraged by an email I just received and I see that God is still very much at work in Ethiopia. Every Tuesday we have a fast and prayer program. We pray for the church people, for our country and for you…. Let us join hands in prayers. We are continuously praying for you. And would you please pray for us? Our prayer group has four members. Their names are me, A.T., W.T. and G.G. Imagine! Only four people, but four people who pray. I think we need a refresher course in John chapter 6 to straighten out our warped theology when we measure our churches by quantitative, not qualitative, standards. Will our churches thin out one day when we, too, must face His cross, His obedience, His self-denial? 6:37 AM In Greek class yesterday afternoon we began translating the book of 1 John. This is definitely a “God-thing” for us. I can remember introducing the verb system last August and seeing the glazed-over looks. All the good times and the bad times, the joys and struggles of learning a foreign language, are now reaching fruition in a way that no other course of study can possibly hope to achieve. To read God’s Word in the original! I am exhilarated with my students’ progress. Thank you, each one, for your diligence, your industry, your conscientiousness, and your faithfulness during these past two semesters. I am very proud of you. 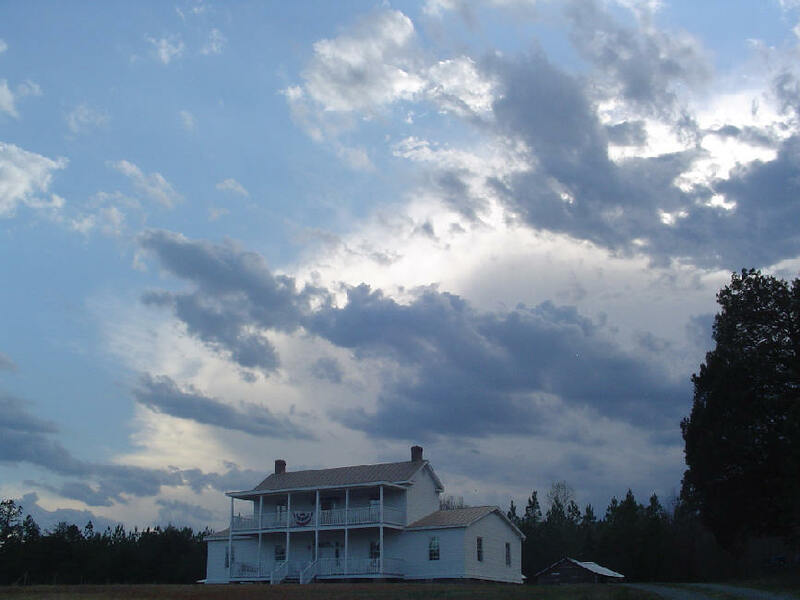 6:25 AM It was eight years ago that we began our move from La Mirada, California (where my wife and I had lived for 27 years) to rural Granville County, North Carolina, and thence to Virginia. In some ways it was a difficult move, but I’m glad to say that the satisfactions have far outweighed the stresses, and that we continually praise the Lord for allowing us to live and serve Him where we do. One thing’s for sure: I have learned to trust in the absolute sovereignty of the Holy Spirit. He takes no orders from anyone, least of all from me. For many years I was so in love with my own plans that I failed to bow to His. Today I believe I can honestly say that I am willing to throw my projects into the wastepaper basket if He decrees otherwise. To be Spirit-filled and Spirit-directed – that was the secret of the early church, and that should be our goal today. Despite our failures and weaknesses, we can be strong in the Lord and in the power of His might. Today, wherever you are, live to the hilt whatever you believe to be the will of God for your life (Jim Elliott). 6:14 AM Sterling College in Sterling, Kansas, announces an opening in Biblical Studies. 6:12 AM Pacific Lutheran University in Tacoma, Washington, is seeking a visiting professor ofNew Testament. 6:15 AM Theopedia has struck again, this time posting an article on the so-called Gospel of Judas. 6:12 AM The American Thinker has a good essay on academic arrogance. Dates: Friday and Saturday, April 13-14, 2007. Place: Southeastern Baptist Theological Seminary, Wake Forest, NC. Main Papers: Dan Wallace, Maurice Robinson, Keith Elliott, Dave Black. 6:25 AM The blogging world is astir with the topic of ecclesiastical power. Should we seek it, or should we abhor it? In my judgment, there can only be one scriptural answer to this question. The church can be victorious only by sacrifice. It is when she is wounded that she wins. It is by her dying with Christ that the life of Christ is made known to the world. He cannot reach the nations except through her, for she is His Body. But she cannot perform her task without Pentecostal power -- the limitless resources which she possesses in Christ. The work of the church today is simply this: It is to be Spirit-filled, and thus Christ-filled. The church today is far more concerned about wealth and programs and organization than about the Holy Spirit. Far better to serve as the humblest missionary in the remotest mission field than to vie for the noblest position among men. Our hope is not in our ecclesiastical structures, much less in our man-made Towers of Babel. It is in Christ, the one at the right hand of power, the one elevated by the Father to Lordship, the Lamb slain from the foundation of the world. This Christ is the one who gathers His people around Him in beauty and strength. He is the absolute Lord in all matters theological, ethical, and political. He is the Supreme Authority before whom every knee shall bow. Our sole business is to know Him and to make Him known -- in our lives, in our homes, in our nations, and in our world. more here. Thanks, Jim and Cindy, for all you are doing for the kingdom. 8:15 AM Is your church designed for preacher function or body function? If we would take every-member ministry seriously, as was done in the early Christian church, the dull picture of our contemporary churches would be radically altered. Instead of churches designed for “preacher function,” they would intentionally promote “body function.” Formal teaching would be accompanied by informal teaching. Every member would contribute to the success of the Body. Pastor-dependency would be replaced by mutual edification (1 Cor. 14:26). By serving one another in love, we would begin to create satisfying and lasting relationships with each other. And as the Body obeys its Head, Jesus Christ, it “grows and builds itself up in love, as each part does its job” (Eph. 4:15-16). 7:32 AM Memorable quote: "If Scripture told me to eat dung, I would do so" (Luther to Zwingli in 1529). 7:27 AM Only 23 more days. 7:26 AM When the desk clerk at my Richmond hotel mentioned that he was from Bombay, India, I said, "O, you mean Mumbai. I was in India when the name change occurred." He replied: "Well, over here we still call it Bombay." Odd, isn't it, how place names are pronounced differently in different countries. A recent example is Qatar -- or is it Gutter? 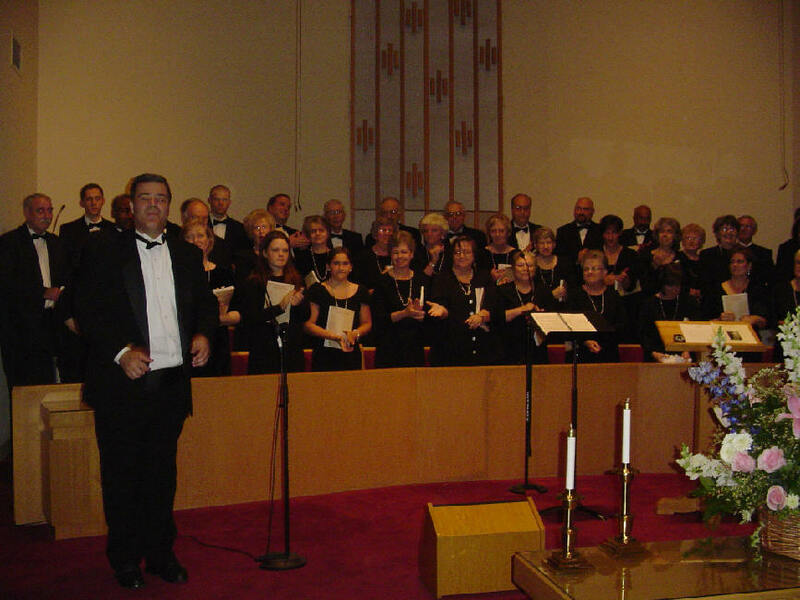 7:22 AM My esteemed colleague John Davis led the Northeast Piedmont Chorale in a stellar presentation of Mendelssohn's St. Paul last night at the First Baptist Church of Butner, NC. Nice to see so many old friends there. Becky and I miss singing with all of you. Your performance was impeccable. 7:18 AM Here's an important article by Patrick Buchanan that you should read. It's called The Generals' Revolt. Whatever your stance on the War, it should disturb you that 75 percent of the officers currently serving in Iraq agree with the six retired generals that Rumsfeld should go. 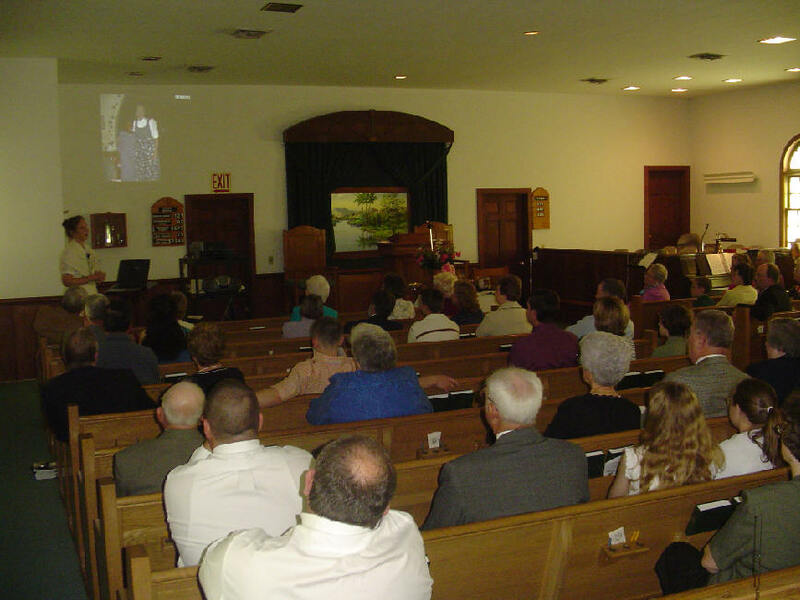 7:12 AM Yesterday morning the good people at Tabernacle Baptist Church in Opie, VA, were our hosts. It was Women on Missions Sunday and the ladies led the entire service, from prayers to song leading to announcements. During the offering, I noted that the ushers averaged about 13 years of age. What a blessing to see so many different saints and different age groups participating. Shock is the only word I can use to describe the look on their faces when we told them about the persecution taking place in Ethiopia. It's a blessing to see God at work in America raising our consciousness level of what He is doing abroad. We anticipate that this is not the last time we will be asked to share in the missions program of Tabernacle. Becky and I are delighted to partner with folks near and far in the work of the Gospel. BTW, Opie is the real name of the little bump in the road near the church. At lunch I asked (jokingly) who the "mayor" of the town was. Since no one was mentioned, I went ahead and appointed the major, sheriff, and dog catcher of "Opie, Virginia." They're all kinfolk, of course. 6:54 AM Timothy was Paul's son in the ministry. Paul referred to him as "my son in the Gospel." He said to him, "I'm passing the torch on to you. Fight the good fight. Hold on to your faith. I thank God as I constantly pray for you." I'd like you to meet one of my Timothys. Fasil lives in Addis Ababa, Ethiopia. His life has been far from easy. But he knows and loves the Lord Jesus. He was my assistant when I taught beginning Greek for 6 weeks at the Evangelical Theological College (ETC) in Addis last summer. He translated for me everywhere I went. Fasil also accompanied Becky and me during our 4-week visit to Southern Ethiopia last winter. Fasil loves the Bible and especially his Greek New Testament. 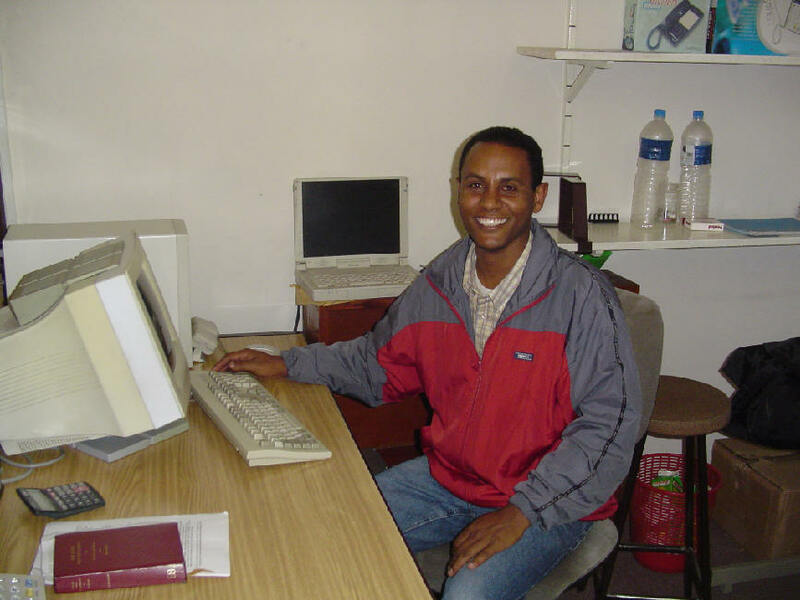 He is currently completing his masters degree at the Ethiopian Graduate School of Theology, writing a thesis on the transfiguration of Jesus. He has just been hired on to teach Greek and New Testament at ETC, and this summer he will teach his very first Greek course, the same one I taught last year. Fasil, my son. Like Paul and his Timothy, I long for the joy of seeing you again. I remember your sincere faith. I am anxious that you be the best you can be for Jesus. I want you to set a pattern for your students of faith, love, and truth. I want you to shun youthful passions and aim for such qualities as integrity, peace, and a pure heart. You are beloved to me and to many others. Never forget your worth in the Savior. Serve Him faithfully with all that you are and all that you have. Grace and peace be with you. 1) It rained all day today. And mighty grateful we are. Our main crop is horse-quality hay. You can fertilize, lime, and otherwise tend to your fields, but without rain nothing grows. This is a real blessing from the Lord, and we thank Him publicly for it. I hope to get in one good cutting before Becky and Nathan leave for Ethiopia on May 18. 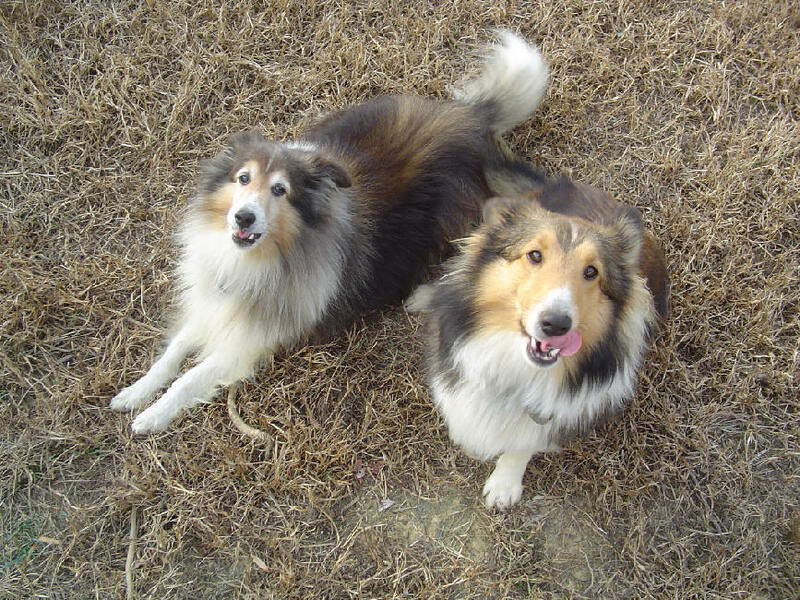 2) Tomorrow Becky and I are speaking at Tabernacle Baptist Church in South Hill, VA. I've been asked to do something I haven't done in years: give the children's sermon. 3) Becky spent the past two days baking banana bread for my Greek class (about 65 students) and sewing a dress for our Ethiopian daughter. Industrious is an excellent word to describe her. A Proverbs 31 woman in every way, shape, and form. I am uniquely blessed. 7:20 AM This atlas contains maps of 153 species of fish. Wasn't it Jerome who, in referring to John 21:11, claimed that Greek zoologists knew of 153 species of fish? The early church did not depend on the Roman civil authorities to meet social needs. Likewise, we see Jesus on the cross with His dying words ensuring that His mother is taken care of by John (John 19:25-27). The modern State has encroached into all these areas that rightly fall under the purview of family government. Strong and stable families, jealously guarding their prerogatives, are the foundation of strong and stable communities, and only these mediating institutions can protect the naked individual from the maniacal, power-hungry State. You may not agree with me, but I think the extent to which our society has been stolen from us by an inhuman elite is mind-boggling. Deceit and evil always go hand in hand. I agree with Darrell that statism is an open door for a new Utopianism in which the taking of innocent life (e.g., abortion) becomes as commonplace as eating. We must speak out, as Darrell is doing. 7:12 AM A blogger's version of 1 Corinthians 13.
allowing me to find them so many months ago....I thank God for moving you to do what you do. By the way, I was raised on the land, here in the land down under, and appreciate, and am sometimes amused, by the news regarding your learning experiences. I sometimes wish I was there with you, hands on. John, you are welcome to come to Rosewood Farm anytime. We could use your experience and advice. Meanwhile, here's a photo just for you. 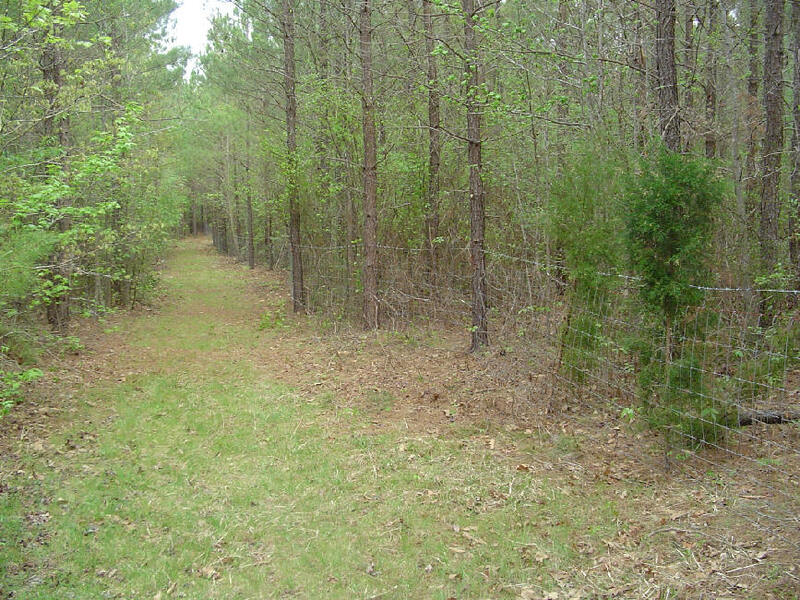 It shows the path we cleared and the wire fencing we put up yesterday for our new pasture. Hope it brings back some happy memories for you. Enjoy. 7:53 AM Just a reminder: I am beginning to revise my beginning grammar. Your suggestions (especially negative criticisms of the book) are welcome. 7:50 AM Only in California. 7:26 AM Have you ever thought about how 1 Cor. 14:3 can apply to the blogosphere? Paul has been contrasting tongues and prophecy and restricts tongues-speaking because it doesn't edify the Body. Prophecy, on the other hand, "builds people up, encourages them, and consoles (or comforts) them." That's always to be the goal of the church, isn't it? And what better goals for blogging: edification, exhortation, and comfort? In Ephesians Paul puts it this way. We are to speak the truth, control our anger, work honestly, speak carefully, and avoid bitterness, slander, and malice. We're to be kindhearted, tender, and forgiving. Above all, we're to walk in love. Let's serve without grumbling (Phil 2:14). Let's set our minds (and our cursors) on what is true, honorable, just, pure, lovely, and gracious (Phil 4:5-8). Let's edify, encourage, and comfort. 7:22 AM Thank God for answered prayer. I asked the Lord that during the semester break I might be allowed to finish fencing in the southern property line and He allowed us to accomplish that and a lot more. Yesterday we finished putting up 850 feet of woven wire that will allow us to open up 30 additional acres for our cattle. God has done "above and beyond," as He usually does. Thanks be to Him. 7:18 AM Greek students! Ron Fay of TEDS has published some excellent handouts for his Greek courses. Check them out if you can. 8:10 AM The latest addition to our home page is called The God of Ethiopia. 8:05 AM In exactly four weeks from today Becky Lynn will leave for the land of her youth. I know of no more beautiful people. 7:51 AM The Hawaiian housing bubble is about to burst. The average home in Kailua sells for a whopping $780,000. Living in paradise comes at a high price tag. 7:47 AM Trivia: A thoroughbred can run at top speed for only about a quarter of a mile. The jockey's job is to decide when to apply that power in order to win the race. Timing is crucial in life. 7:44 AM Darrell Bock tells us what Dan Brown didn't in the Da Vinci Code. 7:41 AM Our son recently took apart two old houses and is now selling the materials. For his ad, click here. Thanks for the good word. Amazingly, the 21st century church may not be so different from the 1st century church at Corinth. It appears that "pulpiteering" (polished rhetoric) had won the day ("I'm of Apollos." "No. No. Apollos doesn't have the flare of Peter." etc.) To the Corinthians way of thinking, Paul lacked the necessary "polish." They cashed in the Spirit-filled preaching of the Word for self-filled oratory. The results were tragic for the Corinthians (immorality, law-suits, factions, abuse of Spiritual gifts et al). As they listened to "self-filled" preaching, they themselves became self-filled in every way, so much so that they would "despise the church of God" at the Lord's Supper by neglecting the poor among them. May God have mercy. The church in America some 20 centuries later reflects the Corinthian's fascination with the ways of the world. Pulpit showmanship differs precious little from the self-help pep-talks dominating the business world. Sad. Seriously sad. But thank the Lord for elders whose hearts are being renewed to place all our hope (in belief and practice) in the "foolishness of the cross." 8:30 AM She's back. And mighty glad we are. She was gone for a week but it seemed like a year. You should have heard her speaking Amharic to our Ethiopian waitress last night. Even the natives were amazed. 4:31 PM The Lord gave us a wonderfully sunny yet cool day to work outdoors. 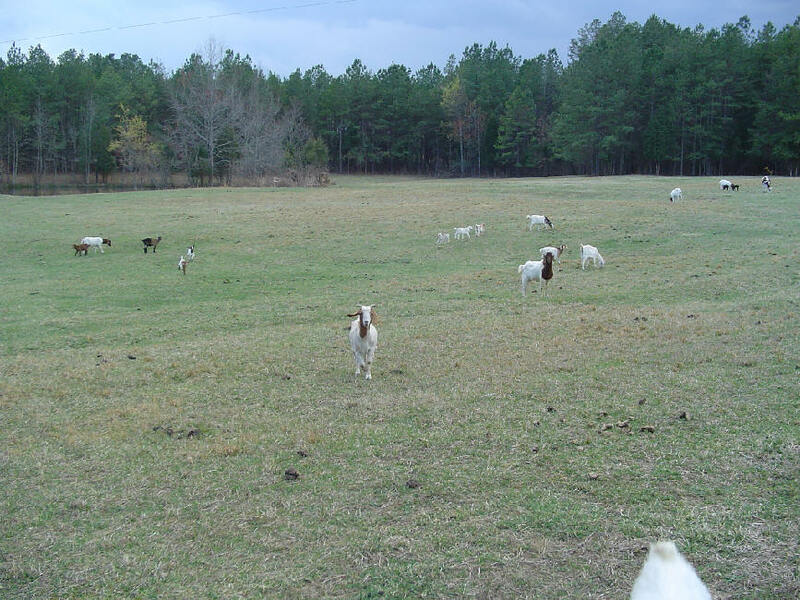 Our current farm project is fencing in about 30 acres for another cattle pasture. Today we cut trees from the back pasture down almost to the creek. 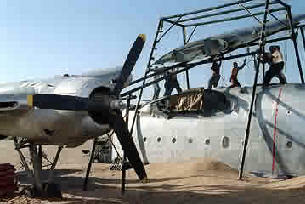 Tomorrow or Thursday we'll start putting up the woven wire. What would we do without our chain saw? 9:55 AM The latest addition to our home page is called Dressing Up the Truth. 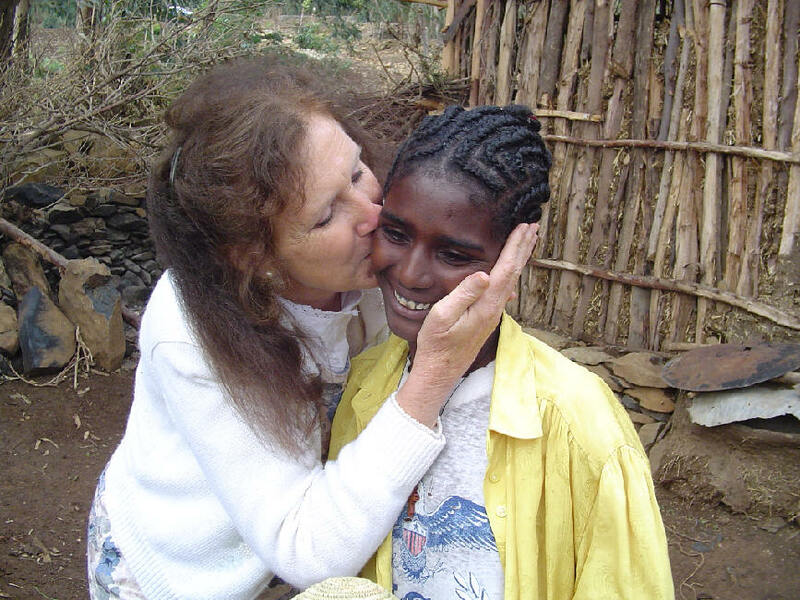 6:51 AM Becky Lynn reports that their Ethiopian Evening last night at Grace Bible Church went extremely well. This is the same church family that sent her parents to Ethiopia over 50 years ago. I'll be picking Becky up at 6:30 this evening then taking her out to an Ethiopian restaurant in Raleigh before heading home. 2:10 PM Good news! We just finished the southern property line. We've done 4,025 feet of fencing so far. God is good. Tonight I'll cook Chinese food (with my secret ingredient) in celebration of this august event. 1) The need to rely totally on the Holy Spirit of God. The Spirit was a dynamic, ever-present reality to these early Christians. 2) The need for constant prayer. The New Testament church was a pliant, praying church. The early believers triumphed over adversity through petition and supplication and praise. 3) The need to care for the poor and disadvantaged. I think especially of Barnabas' generosity (4:37) and Cornelius' almsgiving (10:4-5). The Lord's grace toward the needy and the outcast characterized the ministry of early Christians. They had a deep sense of accountability to God for the use of their possessions that led to the actual sharing of those possessions. Their heart was huge. May God grant me a reliant, pliant, and giant heart. 7:16 AM It looks like we'll have storms on and off all day today. We're still going to plow ahead with our fencing if at all possible. 7:14 AM I enjoyed being at Red Bud Baptist Church last Saturday evening teaching about the myth of adolescence. It's a small world, too -- one of the pastors at Red Bud used to live only a few miles from our farm and knew most of my neighbors. My thanks to each of the young men (and older ones too) who attended. I met many strapping teenagers who are eager to be about the Lord's business. They put a lie to one of the great shibboleths in our society -- that youth are unwilling or unable to actively serve the Lord. Many of these young men will be devoting a week of their lives this summer to building homes in New York. 7:10 AM If you live in Dallas and need something to do tonight, might I suggest "An Evening in Ethiopia"? Place and time: Grace Bible Church, 7:00 pm. Becky will be showing slides and video clips of our trips to Ethiopia. The meeting will be held in the Hearthstone Room. Now doesn't that sound inviting? 1:31 PM Heading off to Castalia. We got a lot of fencing up today, despite the heat. In fact, we're almost done with the southern property line. Can you believe it? 7:10 AM Corrie has been studying Hebrews, including the warning passage in 6:4-6. The big question is how to translate v. 6 -- "since they crucify to themselves...and expose Him to public shame"? Or is it "because...? Perhaps the best explanation is neither. 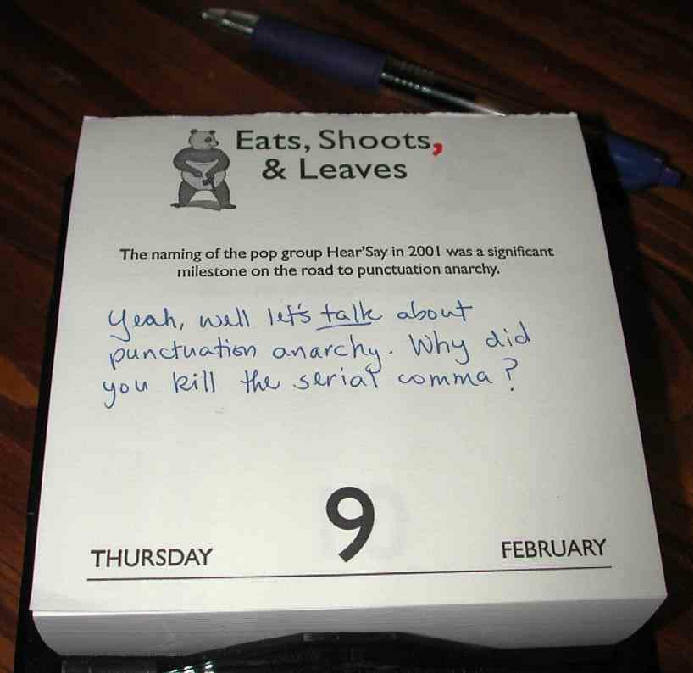 As Keith Elliott of Leeds pointed out years ago in an Expository Times essay, the author's switch from the five aorist tense participles to the two present tense participles suggests that the best rendering is "as long as they continue to crucify to themselves the Son of God and expose Him to public shame." We did something similar to this in the ISV. I believe that any person who will read the Constitution with an unbiased mind will conclude that, if our Constitution is to have any meaning at all, there is absolutely no federal authority for welfare programs. I am astounded by the Bush administration’s bald assertion regarding the capabilities of the federal government to transform human life, including marriage. The state has taken over the role of God. Government employs us, feeds us, regulates us, and now claims to be able to solve our problems, including gambling (is Bill Bennett listening?). For many Americans, the state has become their church, and the federal government has become an idol, stripping individuals and communities of their social responsibilities and engaging in the immoral transfer of wealth. And since the New Deal, a trickle has become a flood. 6:44 AM The latest addition to our home page is called On and Off Christians. 6:18 PM News and Notes: Got more fencing up today. Having worked outdoors all winter, I am not at all used to this heat. I wanted to work longer today but ran out of gas. Still, by the grace of God, I am determined to finish fencing in the southern property line by next weekend.... Had a nice talk with Becky in Dallas today. She is having a great time. Tonight for supper we are having a dish she prepared for us before leaving. It's called Veepa's Rice -- curry and chicken mixed with rice. A delicious meal. Needless to say, this Acquila really misses his Priscilla.... Tomorrow I will be speaking in a place called Castalia, North Carolina. Never been there before. It's always neat to visit a new location. I do know that the area has many historic homes. Maybe I'll see some on the drive. 7:53 AM This just confirmed. In October I will have the privilege of speaking for a week at the Dumitru Cornilescu Colloquium in Romania. This is a traveling colloquium that meets with young pastors and Bible scholars throughout the country who need encouragement and instruction. This will be my first trip to Romania, and it's about time. I am half Romanian (my mother's family came from Cluj). Better start brushing up on the language. 6:59 AM I have just posted Part 2 of our interview with Maurice Robinson. 6:55 AM I am beginning a study of Ephesians in my personal Bible time. Peter Head of Cambridge University offers an excellent introduction, including hyperlinks to essays, maps, and study tools. And here’s a site that practically takes you to Ephesus via photos. 6:53 AM Southeastern Seminary’s Male Chorale and The Northeast Piedmont Chorale (with which Becky and I once sang) will present Felix Mendelssohn’s "St. Paul" on Friday, May 5 at 8 p.m. in the seminary’s Binkley Chapel. Go here to listen to brief excerpts. 6:50 AM One thing's for certain: It's heating up in Southern Virginia. It is supposed to get into the mid-80s today, which is nice weather for working outdoors. 6:43 AM Liz Rondeau sent home with Nathan yesterday a big tub of Lasagna and a bag of Doritos. Both were excellent. Thanks for taking pity on the bachelors, Liz. 6:40 AM This is one of the best collections of original documents relating to the American Civil War that I know of. 6:36 AM Last night I had a wonderful time at New Life Baptist Church in Youngsville, NC. 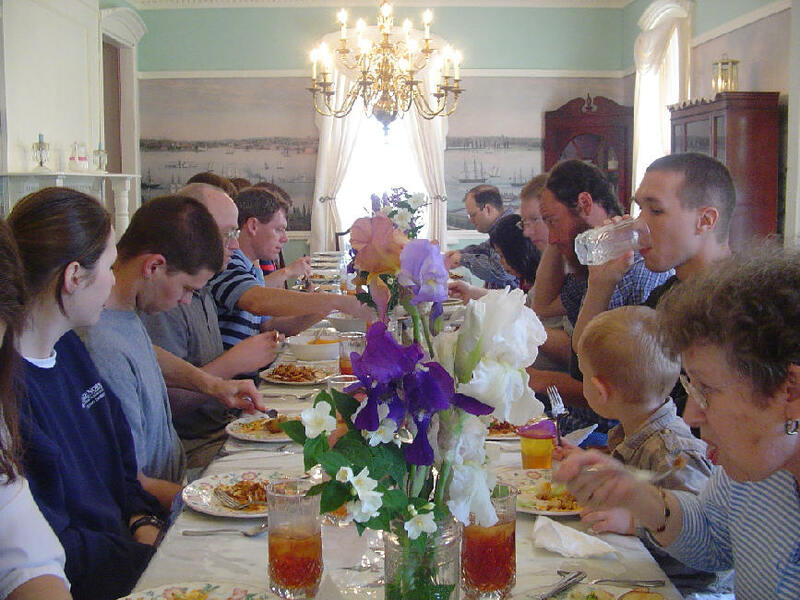 During our meal time ("while they were eating") we broke the one loaf and drank from the one cup as we commemorated Jesus' death and looked forward to the Great Marriage Supper we will enjoy with Him one day. David Henry and others are doing a great job of moving the church toward a more biblical understanding of the Lord's Supper. After I spoke I met lots of people that either have attended Southeastern's college or are current students. The people were very attentive as I led them in a brief study of Acts 20:7 -- a key text if ever there was one. So it was a good evening seeing many old friends and meeting some new ones. 6:32 AM Because of illness in her sister's family Becky has canceled her plans to go to Houston. Instead she's been taking Amharic lessons from her dad, several hours a day in fact. You have to hand it to her -- she is persistent. 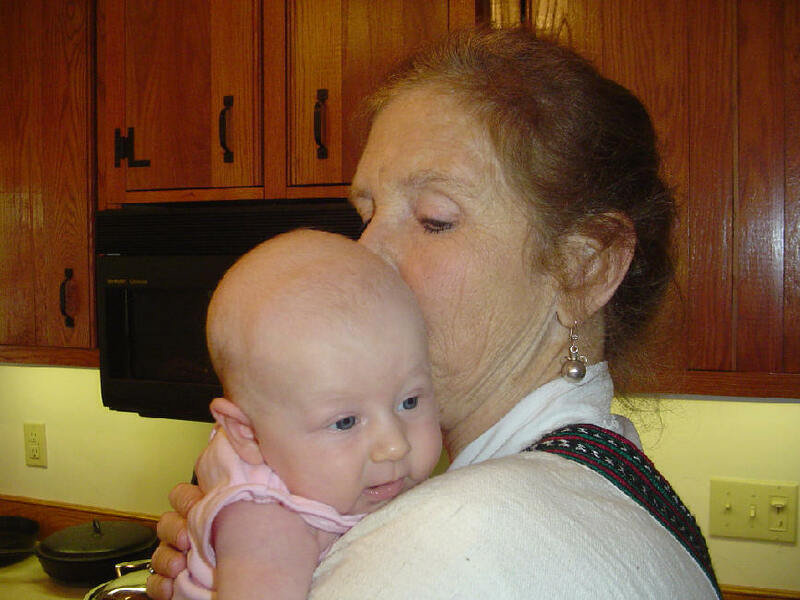 As a child she could speak the language somewhat fluently, but that was decades ago. My father-in-law is concerned that his accent might not be up to snuff. With his huge Texas drawl, he has every right to be worried. But better to try speaking the language with an accent than not trying at all. I remember when we lived in Basel that the Baslers thought I was from Prussia because of my High German accent, but when I was in Germany the Germans thought I sounded like a Basler. Between hands and feet and German and English I could, however, make myself understood wherever I went, and that was the main thing. Honey, hang in there with your Amharic. You'll do fine. 6:25 AM In the foreground of this photo is Kailua High School, which I attended from 1967-1970. This morning I was thinking back to those days and regretting the fact that I had not taken any foreign languages during my high school years. None was required in fact. So when I got to Biola College in 1971 I was ill-prepared for the two years of Greek I was required to take as a Bible major. Young people, I encourage you to take a language before you get to college if at all possible. An ancient language like Greek or Latin would be a good choice, but modern languages such as Spanish or German are just as useful. I imagine the experts in pedagogy during my high school days thought they were being smart in making languages optional, but I paid a heavy price for my ignorance when I got to college. 1) Protein bars. We usually get the Zero Perfect brand with 15-16 g protein, available at Wal-Mart for $.96 each. We give these to the evangelists who need more nutrition, and also to women who are pregnant and borderline nutritionally. 2) Packages of shiny stars, available in the W-M stationer/office supply dept. for $1.77/pkg. These are used for the Bible Memory Program. 3) And we are always eager to take back more eyeglasses – the nonprescription kind you can get at Dollar Tree for a dollar a pair. The best strengths are 1.75 to 2.50. If you see a bucket outside my office door, it’s a collection station for these items. I suggest that Occam’s Razor applies, and thus prefer the theory and method that, when consistently applied, appears to possess the least number of problems or complications. Assuming such to have occurred, that theory and method should be followed steadfastly, brooking no exceptions so long as the evidence and conclusions remain commensurate with the principles that characterize that theory (cases remain where any theory will retain some problematic variant units; I do not speak here regarding those). As a result of the consistent application of these principles, I draw a solid conclusion in favor of the Byzantine-priority hypothesis. 6:14 AM Here’s an example of continuous writing, the kind we find in the earliest New Testament manuscripts. 6:12 AM A hearty blogosphere welcome to Ed and Leah Payne of Our Payneful Memories. 6:08 AM If you speak or read Español, this is a great apologetics website run by a former student of mine in California. It includes essays on Catholicism, Mormonism, Jehovah’s Witnesses, etc. Recomendado altamente. 6:07 AM Greek students! In case you haven’t seen this, here’s a parsing guide for the Greek New Testament. No, I don’t mind you using helps like these. As someone once put it, halitosis is better than no breath at all. 6:00 AM Here’s one reason why the Amplified Bible is of questionable worth. 1) Here’s a picture of Ashageru and Becky Lynn. It was taken when we visited Bereket's sister and mother in their hut last year. 2) The victims of religious persecution in Ethiopia are meeting in the mud after their churches are burned to the ground. 3) In Eritrea, which borders Ethiopia to the north, the number of imprisoned Christians now numbers 2000. 4) For a breakdown of the religious demographics in Ethiopia, including the Ethiopian Orthodox Church, click here. How can we ever settle down in our comfortable sanctuaries and become Laodicean in our lukewarm contentment when there’s a world to be touched with the love and forgiveness of Jesus. 6:40 AM The latest addition to our homepage is called Every Lord's Day Is Resurrection Sunday. 6:38 AM Recently we recovered two boxes full of Reader's Digest books from a dumpster. They are all in superb condition -- a real treasure trove. I've already read the Sinking of the Morro Castle and the Flight of the Phoenix. The latter story was phenomenal. 6:34 AM Technorati tracks about 33 million blogs, about half of which are still posting 3 months after they started. Only 9 percent of blogs are updated at least once a week. This essay wonders out loud how many blogs update 3 times a week or more. That's a good question. In case you're interested, I had a lot of fun with this topic several months ago in my essay To Blog Or Not To Blog? 6:31 AM Just saw this nice tribute to one of my professors in Basel, Markus Barth (the son of Karl). I'll never forget his lectures on the Gospel of Mark (including his lengthy discussion of paedo-baptism, which he adamantly opposed) and the warm hospitality I enjoyed with him and his wife in their home in Riehen. I also recall one doctoral seminar with him in which I was the only non smoker in a very small room in Nadelberg. Barth loved his pipe, and cared deeply about his students. I still think his two-volume Anchor Bible commentary on Ephesians is unsurpassed. Speaking of the Barths, I see that a letter the senior Barth wrote to Francis Schaeffer has just been posted online. China agrees to rural reform - "Da Vinci" author says he is astounded at allegations. When I preach I regard neither doctors nor magistrates, of whom I have above forty in my congregation; I have all my eyes on the servant maids and on the children. And if the learned men are not well pleased with what they hear, well, the door is open. I also speak directly from my Greek New Testament, but nobody knows it. 6:20 AM As you know, one half of the Dave and Becky Black Singing Duo is in transit right now. My wife's enjoying her visit to Dallas. Actually her parents live in Murphy, which is just east of Plano. Murphy used to be "in the country." Now it's in the middle of subdivisions. Later in the week Becky will spend a couple of days with her sister's family in Houston and then visit with the Keith family. Meanwhile, us bachelors have been surviving on dad's cooking. Hurry back, honey. 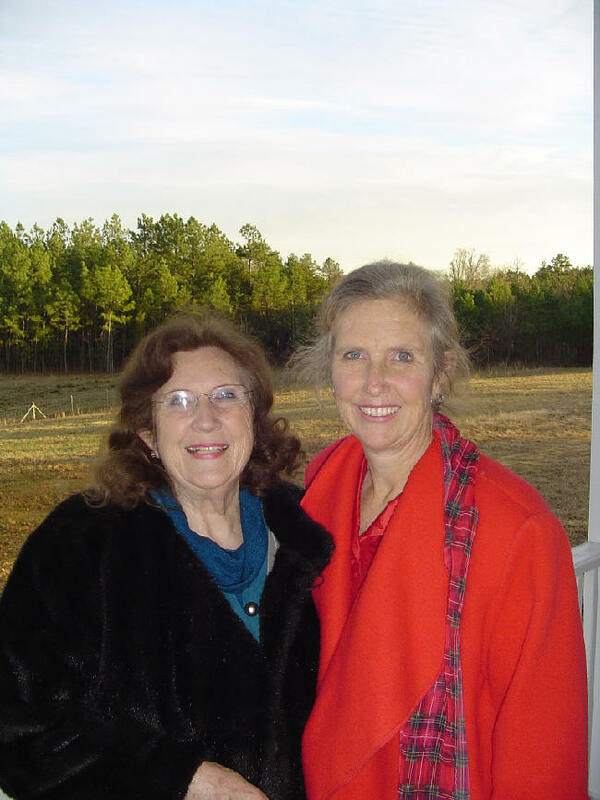 Here's a shot of Becky and my wonderful mother-in-law, Betty Lapsley. Wherever they go in public, people always think they're sisters. Aren't they beautiful? A single manuscript of the Gospel of Judas about a secret just isn't to be taken seriously when compared to the New Testament manuscript evidence of public teachings with corroborating witnesses. The current debate over the Gospel of Judas raises two points of interest in my opinion. It shows that secular interest in Christianity is not dead. And it shows that some people are very anxious to believe that the Christian Gospels are false. Is the Gospel of Judas that much sought-after thread of “evidence” that will discredit Christianity once and for all? Hardly. But it is a reminder of a very important truth: remove Christ from Christianity and you are left with an empty shell. 4:10 AM New Testament scholars often speak of an amanuensis. Here's an interesting use of the term in reference to Judith Miller. Hopefully, Miller’s public pratfall has taught them something. A True Believer, Miller apparently became an amanuensis to neo-conservative dogmatists in the Bush administration intoxicated by their own propaganda and determined to invade Iraq. Five of the six stories touting Saddam Hussein’s imaginary arsenal of WMD for which the Times has apologized carried her byline. 6:46 PM While driving to the local nursing home to sing this afternoon an amazing thing occurred. As we went around a long curve in the road we came across a wild turkey. Rather than flying away from us, however, he began to fly alongside the passenger side windows, going in the same direction we were traveling and about the same speed. For 25 yards or so we were treated to the magnificent view of a bird in flight not 10 feet away from us. I clocked him at 30 MPH. 8:26 AM Fascinating post here on the Gospel of Judas. I do think this document will shed important light on second-century Gnostism. I wish I had taught myself Coptic. I am always a bit wary of translations. 8:23 AM What can I say about my horse riding these days other than it hasn't been frequent enough. Seems just when I have time for a ride the weather turns sour. I think it's as hard on Traveler as it is on me. He's a top class athlete and needs to be ridden frequently or else he gets lazy. In fact, I think he enjoys riding more than I do. I don't want an automaton but a confident, free-striding and happy horse with whom I can communicate and merge into a perfect partnership. With all of its ups-and-downs, I am still convinced there is no more enjoyable pastime than riding. In case you've never met him, here's a pic of Trav striking a lovable pose (note tongue). I just have to smile every time I see him. 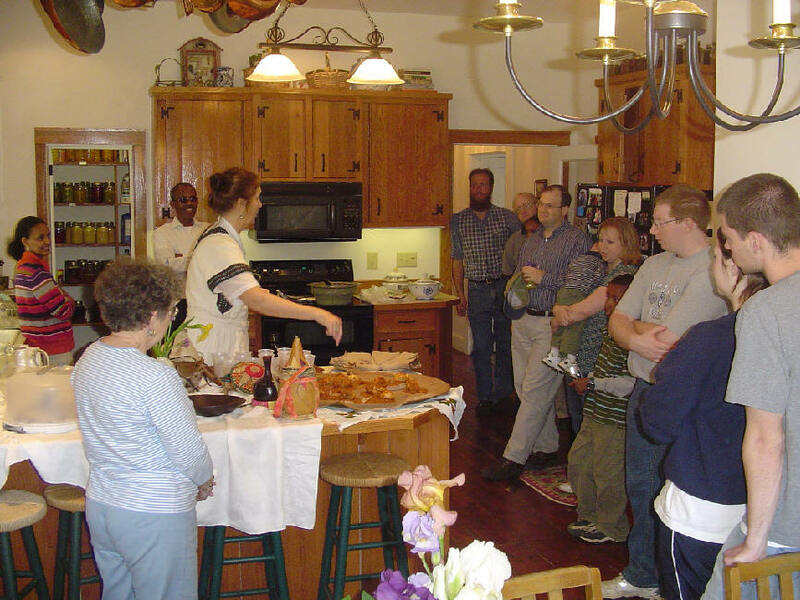 8:17 AM One of the nice things Becky is planning on doing with her parents in Dallas is having an "Evening in Ethiopia" get-together at Grace Bible Church, mom and dad's home congregation. A nice celebration for two very nice people. Becky will be showing pix and video clips of her adventures in the land of her youth. 8:12 AM A big thank-you to our Richmond class, which donated $150 for the church in Ethiopia over the weekend. Our fourth and final class met on Saturday. I enjoyed it immensely. I now have 13 term papers to grade by Tuesday. This is a self-imposed deadline; I don't like to put things off. 5:22 PM Just unpacked my bags and got caught up on the most important emails that came while I was in Richmond. The house is deserted. I suspect everyone is in Carolina buying newborn calves. This morning the Lord really made my day. I was at IHOP sipping coffee and grading papers when I spoke to my waitress in Amharic. She practically fainted. She is from Addis Ababa. We had a nice talk about Ethiopia. She was surprised to hear I've spent 4 and a half of the past 15 months in her home country. I hope she visits DBO and reads our Ethiopia Reports. If you're reading this, S., I enjoyed meeting you. 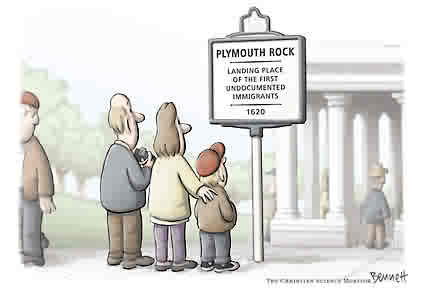 May the Lord richly bless your stay in America. 9:55 AM The latest addition to our homepage is called Yielding Our Unsurrendered Selves. 9:43 AM This morning while reading my Bible on the front porch I was treated to a nature show: blue birds, red birds, geese flying overhead in perfect formation, crows, a hawk. The crowning glory was a wild turkey who sauntered by not more than 20 yards away. 9:41 AM Midwestern Baptist Seminary announces a Bibles display. I see that the Erasmus Greek/Latin New Testament is also included. I well recall a trip to the subbasement of the Basel Library to see (and handle) this beautiful work. What a remarkable treasure. 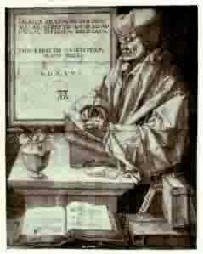 Below: Erasmus as portrayed by Albrecht Dürer. 9:38 AM Here’s an interesting essay on ancient writing materials and how they were used in the transmission of the New Testament. It’s hard for me to imagine all the work involved in producing even one manuscript of the Greek New Testament. These ancient scribes were something else. Must have been like playing a double-header in suffocating heat. 9:35 AM By the way, did you notice how many bloggers tried to be funny on April 1? Most failed miserably, but I appreciated the attempt. 9:32 AM A big thank-you and shout-out to Intervarsity Press for sending me a complimentary copy of Paul Wegner’s A Student’s Guide to Textual Criticism of the Bible. It's landed at the top of the pile on my bookstand. 9:28 AM I’m packing up for my last trip to Richmond this semester. The students will be presenting their exegesis papers tomorrow. I’m really looking forward to it. Becky Lynn will stay behind in preparation for her week-long trip to the Big D on Monday to visit her mom and dad. Only 41 days until they leave for Ethiopia. 5:58 AM My friend and colleague Maurice Robinson has kindly agreed to answer several questions that were posed by my Greek students about his textual theory. I'll share his answers with my class next week and then post them here. If you aren't familiar with his view of Byzantine priority, here's a good essay for starters. Meaning, “This book is dedicated to my parents, to Ayn Rand, and to God.” Of course, if you’re paying the bill, the choice is yours. These are just three responses to this great post on chickens. 5:47 AM "We cannot forget the dictates of Islam or of God," said Maulawi Habibullah Hassam, a religious scholar who heads Kabul's provincial council. "According to Islam, the punishment for apostasy is death. If a Muslim converts to another religion, he puts 1.5 billion Muslims in danger. They will think, 'This man was with us, but now he is leaving.'" Readmore. Becky and I are committed to sharing the love of Jesus with every Muslim we meet in Ethiopia. 5:45 AM At Wikocracy, you can now rewrite our magnificent United States Constitution. I think they’re underestimating the ability of politicians. 5:42 AM Now here’s a good use for my favorite board game. 5:40 AM Every so often I like to post something about neologisms in English. Even though you can probably figure out its derivation, this name for the latest geological age might surprise you. 4:37 PM I just heard a superb interview on NPR's Fresh Air. If you want to know why America has become an object of hatred and opprobrium throughout the world, and why our interventionism from Hawaii to Iraq has opened the hearts of millions to radicalism, clickhere. 4:32 PM Crichton College in Memphis, TN, announces three positions in Bible and Theology. 4:30 PM On April 19, Westminster Seminary in Philadelphia will be hosting Dr. Christopher Seitz of Saint Andrews University for a lecture titled, “We are Not Prophets or Apostles: Christian Identification with New Testament Reading of the Old Testament.” For detailed information, go here. What does an Hawaiian accent sound like? Seriously. Is it Yankee-sounding, Southern-sounding? Midwestern?? You like foh chek dis out. I’m told this won't happen again for 100 years. In a two-party system, you can get the evils of both parties at the same time. Maybe you voted Republican because you hated the way the Democrats always inch in the general direction of socialism. The joke’s on you! The Republicans start a war and simultaneously accelerate the drive toward socialism. 4:17 PM Pastor Mark Becton’s comment in chapel yesterday may raise hackles with church growth gurus but is spot on: “You take care of the depth, and God will take of the breadth.”Shepherds (or goatherds, like moi) do not make sheep (or goats). Healthy sheep make sheep. 5:57 AM The latest addition to our homepage is called Raising the Bar. 5:55 AM Was Barnabas the author of Hebrews? 5:50 AM "You may be from Hawaii if..."
These are so true. I literally cannot say "li-hing mui" without my saliva going bonkers. Being a kamaaina haole (i.e., born and raised in Hawaii) I could even travel through Waianae and not get killed. When I went to California for college my accent was so strong that people had a difficult time understanding me. And now I'm a country hillbilly trying to relive the 1860s. The Lord has a sense of humor. 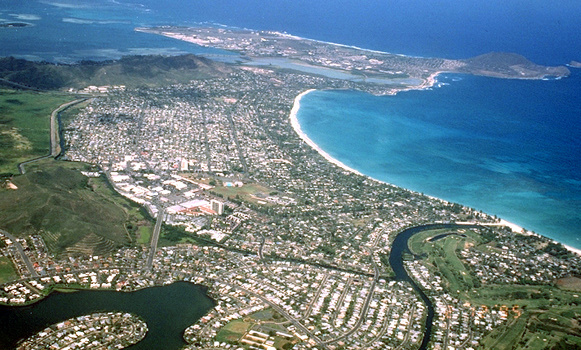 Below: Kailua Bay, where I grew up. 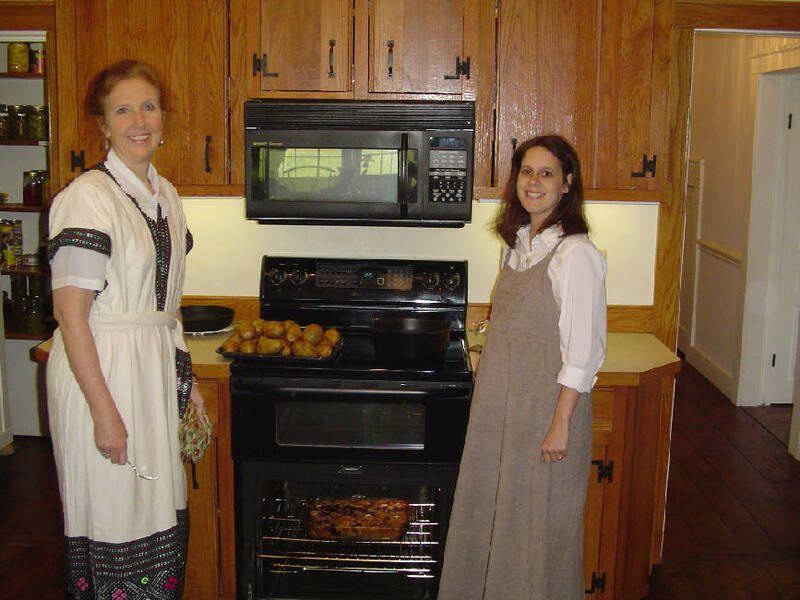 We were one of the first families to build here in 1955. This is where I surfed about 365 days a year. When I was eight I was baptized in a public ceremony at Kailua Beach Park, shown in the lower right hand corner of the photo. 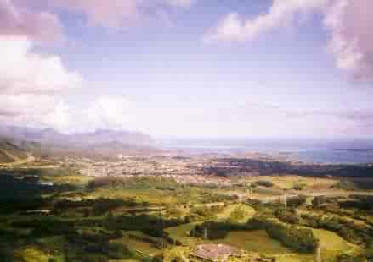 For more aerial photos of Windward Oahu, click here. 5:40 AM Today Becky Lynn is meeting with a group of ladies from Bethel Hill Baptist Church to sew eyeglass cases for Ethiopians. You can't believe the joy on these Ethiopians when they read their Bibles again. According to this report, over a billion people need eyeglasses in developing countries. The growth in Africa has been relentless. In 1900 Africa had just 10 million Christians out of a continental population of 107 million — about nine percent. Today the Christian total stands at 360 million out of 784 million, or 46 percent. And that percentage is likely to continue rising, because Christian African countries have some of the world's most dramatic rates of population growth. Meanwhile, the advanced industrial countries are experiencing a dramatic birth dearth. Within the next twenty-five years the population of the world's Christians is expected to grow to 2.6 billion (making Christianity by far the world's largest faith). By 2025, 50 percent of the Christian population will be in Africa and Latin America, and another 17 percent will be in Asia. Those proportions will grow steadily. By about 2050 the United States will still have the largest single contingent of Christians, but all the other leading nations will be Southern: Mexico, Brazil, Nigeria, the Democratic Republic of the Congo, Ethiopia, and the Philippines. By then the proportion of non-Latino whites among the world's Christians will have fallen to perhaps one in five. I see the day coming when Ethiopians will send missionaries to America. 6:14 PM Just walked the farm to check up on everyone. The goats are fine. 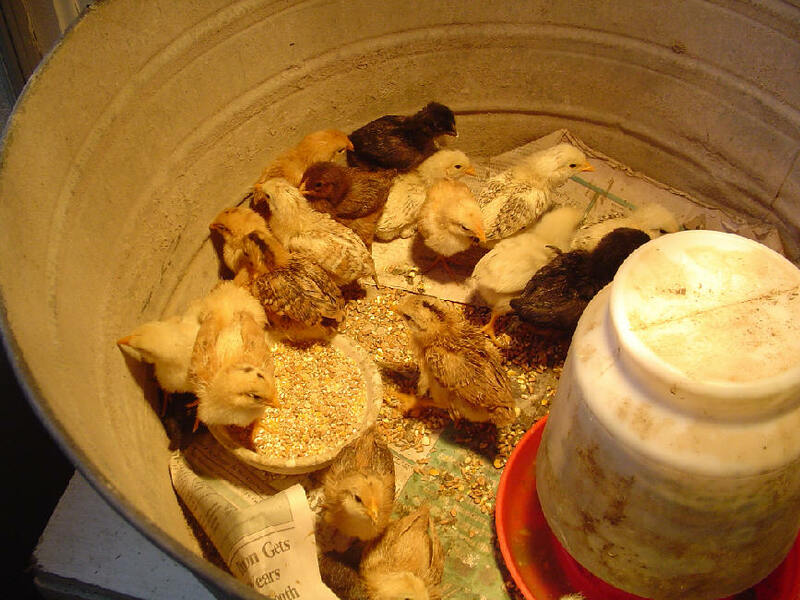 As are the chicks. These are all incubator babies. 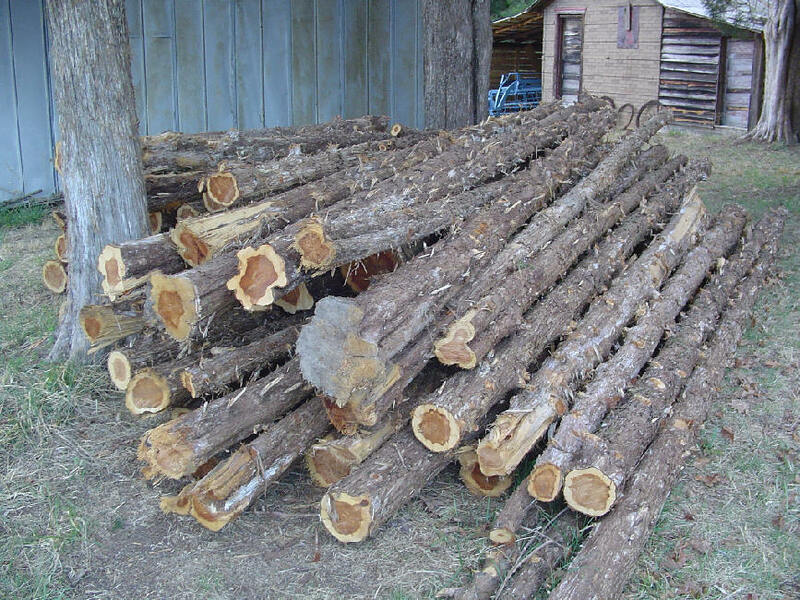 Here are the cedar posts we've being cutting for future use in outbuildings, including our new retreat cabin. Snapped this one 30 minutes ago. The next storm will be here shortly. Time to shut down the computer and cook supper. Talk to you tomorrow. 11:46 AM We just returned, soaking wet, from the back 40. If the rain lets up this afternoon we might give it another whack. The good news: We've crossed the creek. I'd say another four or five working days and we should have the southern property line fenced in completely. Isn't the Lord good? 6:59 AM Do you have a favorite Bible commentary series? 6:50 AM Farm update: 1) We now know how Fudge is getting out. She is simply jumping over the wire fence, all 5 feet of it. I have this on eye-witness testimony. That rascal. Thinks she's a deer. 2) We had our first thunderstorm of the year this morning. It's still raining. We were planning on putting up more fencing today. We'll see. 6:48 AM That pugnacious participle. 6:45 AM Okay, I know this is only for the eccentric among you, but if your culinary desires are radical enough you might want to try your hand at Ethiopian cooking. Becky Lynn has become an expert in no time at all. 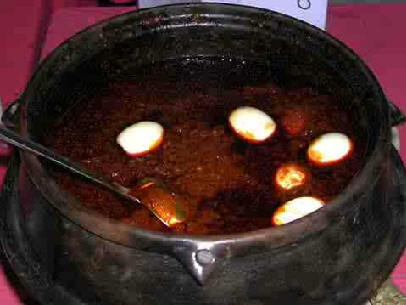 If you need to decide on just one dish, make it Doro Wat. 6:40 AM Theological Musings offers a brief definition of textual criticism. 6:38 AM Becky is hard at work in preparations for her Ethiopia trip in May. 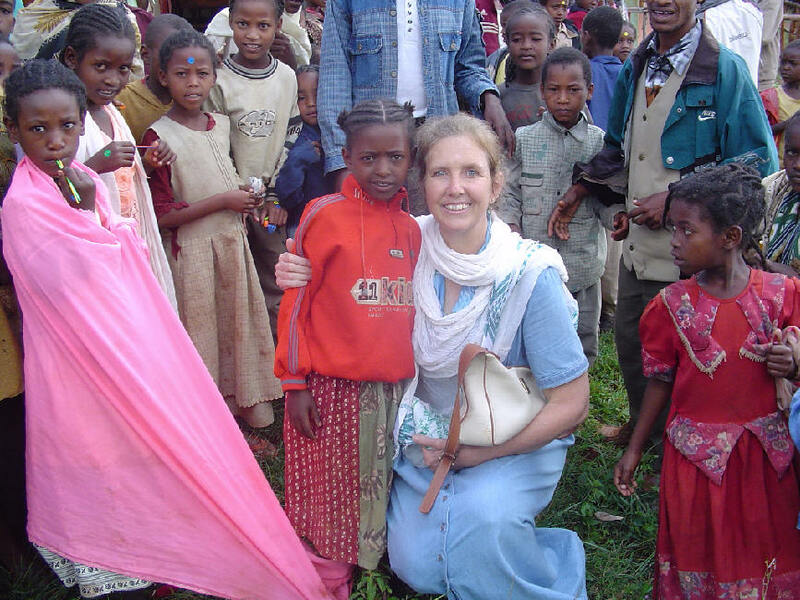 Did you know that she will be meeting with our Ethiopian children the second night she is there? Right now she is sewing matching dresses for herself and Emebet our adopted daughter. I'm expecting this to be a phenomenal evening. I can't be jealous that I won't be there -- I've had 5 dinners with our Ethiopian family in the past 15 months. 6:35 AM Here's one thing that surprised me about studying textual criticism many years ago. You would think that with so many great minds devoting so much energy to solving the problem there would be greater certainty about the history of the transmission of the New Testament text. But the opposite seems to be true. The next two weeks will be crucial in our textual criticism class, as my students work on their papers and come up with their best shot at a solution. I'll give a brief wrap-up and then we'll be turning the class over to these young scholars. Should be great. By the way, one student actually asked me if we could do more collating. I never thought I would hear that request in a Greek class. Phenomenal. 6:30 AM Yesterday at Union Chapel Baptist Church a lady came up to me and said, "You and Becky ought to sing ____ next time you're here." I forget the name of the song, but I told her I thought I would stick to teaching. I may need to reconsider, however. Becky would love to do it, and who am I to stand in the way of popular demand -- one lady, and one wife? 1:12 PM Today is as beautiful as it gets in Southside Virginia. Although we normally don't do any farm work on Sunday, Nathan and I will take advantage of the weather to check our fencing in an attempt to keep Fudge in the pasture. I don't know how or where she is getting out. But leave it to one goat to find a way of escape. 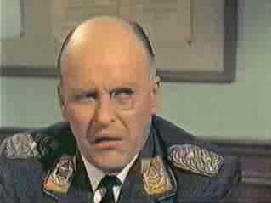 Frankly, I'm as befuddled as good old Klink. 1:05 PM This morning Becky Lynn and I were privileged to fellowship with our friends at Union Chapel Baptist Church, not to preach or teach, but simply to say thank you for their generous gift to their Ethiopian brothers and sisters in Christ. These men and women have farmed the area for generations. Their offering will build two meeting halls in Alaba, where Christians are being killed for their faith even today. When Becky visits Alaba in May she will brings greetings and photos from Union Chapel -- from rural church to rural church. 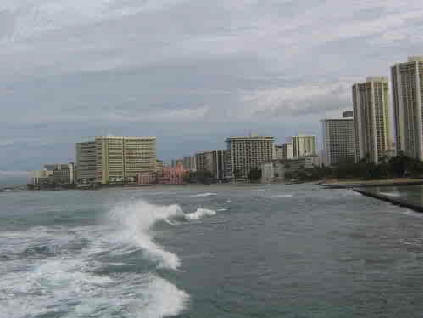 1:43 PM Oahu has just experienced its worst weather in a decade. Even Waikiki was closed down. Raw sewage drained into the Ala Wai Canal for days. What a difference from the view Becky and I had at this same spot 29 years ago on our honeymoon. By the way, I have a photo of my family at Waikiki taken in 1955. It shows us, two hotels (! ), and no one else on the entire beach -- and the weather was perfect. 1:38 PM Here's a book I want to read before I teach in Kansas City this summer. My wife's kin once lived in Clay County, Missouri, where Jesse James and his band of desperados robbed the Savings Bank of $60,000. Question: Does anyone know if the Winston Churchill museum in Fulton is worth a visit? It was the site of Churchill’s famous post-World War II speech in which he mentioned an "iron curtain." 1:23 PM Last night Becky Lynn prepared some lip-smacking filet mignon for supper. Today I get to return the favor -- I'm cooking Chinese food with, of course, my secret ingredient. 1:16 PM Jeff Downs has asked me to be a guest on his talk show. It will air live on May 4. 1:12 PM Today is also the anniversary of the Battle of Five Forks, where Lee's right was routed. 1:09 PM One of the most important scrolls in the world makes its debut in Cleveland today.